A better and healthier sleep! A buckwheat pillow ensures a good and comfortable night's sleep. There is nothing better to start a new day fit and full of energy. In this way a buckwheat pillow ensures that you can execute all the work you expect that day without difficulty. Moreover, these cushions are ideal for people with neck and shoulder complaints because they adapt easily to your body. In addition, the buckwheat caps have an absorbent and airy effect, so you can also enjoy a cool pillow in the summer. 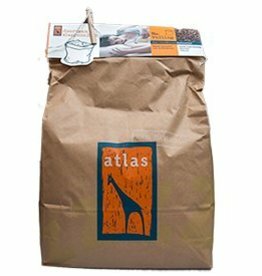 Discover for yourself the benefits of these natural buckwheat pillows! Buckwheat is a so-called pseudographer and can be compared to quinoa. Besides the fact that one can eat this plant, the buckwheat husks can be used as a natural filling of your pillow. The different properties of buckwheat have a positive effect on your night's sleep. By using a natural product you will notice the difference yourself with other, synthetic solutions. In the beginning, the use of a buckwheat cushion will take some getting used to. The fresh buckwheat husks, for example, still produce a kind of crackling sound, which will disappear after a few nights. All in all, a Lagripro buckwheat cushion always ensures a better night's sleep. You will soon find the right sleeping comfort, and thus also create a better sleeping position. You will feel less tension around your neck working fins and shoulders, allowing your entire body to relax better. 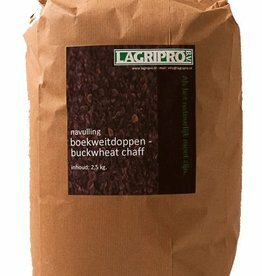 All buckwheat cushions from Lagripro are easy to refill with our refills . If you want to fill your buckwheat pillow with fresh buckwheat husks, you can easily do this yourself. Of course you also have the possibility to make your buckwheat pillow a little bit so that you can adjust the thickness of the pillow to your personal preference. ✓ The buckwheat cushion is washable. You can also benefit from beautiful bundle discounts at Lagripro! 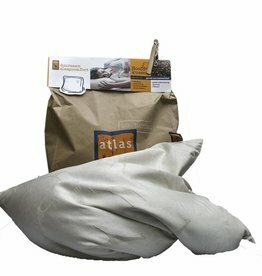 Order, for example, two Atlas buckwheat cushions and receive an Atlas refill gift! 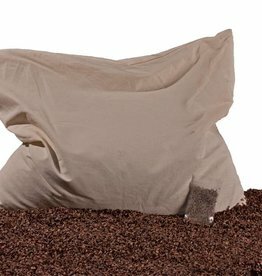 This way you benefit from all the advantages that a buckwheat pillow offers.